Hi everyone! This week I am joining Deborah in the Christmas Manicures series she is doing, because I also really love holiday manicures! For this Christmas mani I am following her up with another green polish by China Glaze: Westside Warrior. Westside Warrior is the perfect army green. It goes on in 2 silky smooth coats with a very fast drying time and it is gorgeous just by itself. 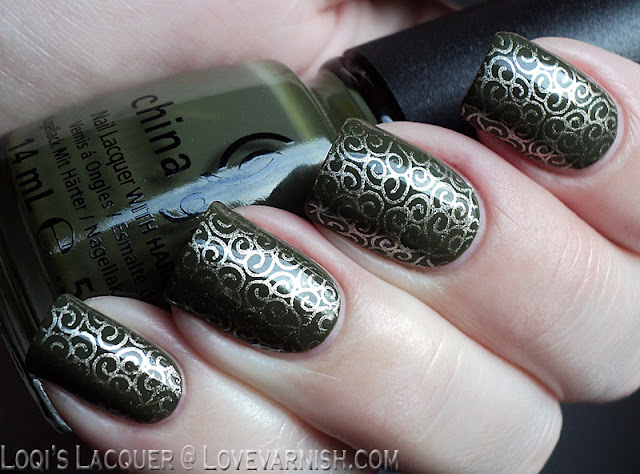 But, since I don't think you can's say x-mass without saying 'gold' and 'ornaments' I stamped over it with China Glaze - Passion and the curled image from bm-201 (I adore this image!). I really love how this turned out. 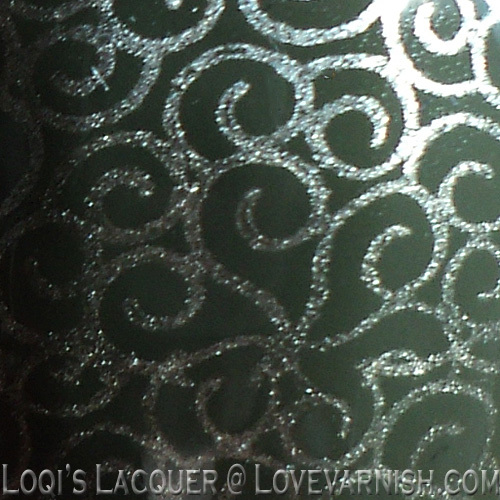 Metallic stamping always creates a very nice contrast with a crème base. I hope you guys like it too, and see you next week! Yay for joining me doll! This is gorgeous.. I need to try that design too! 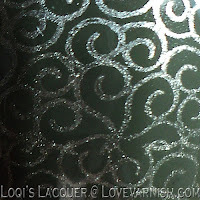 Very pretty colors, and your stamping is gorgeous! This is so pretty! It looks like lovely Christmas wrapping paper! 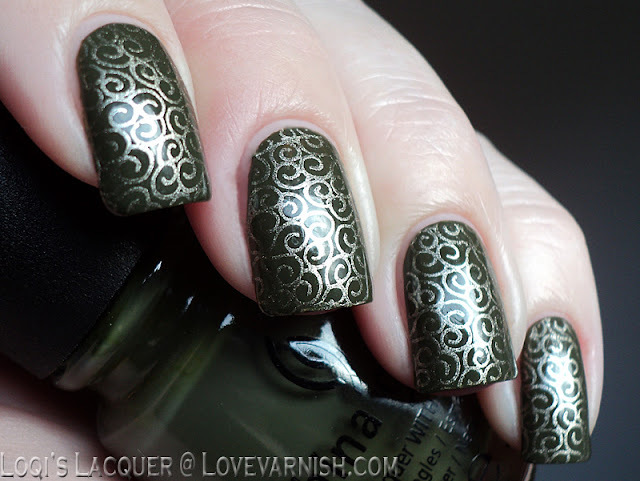 Such perfect stamping and a classy color combination! thank you very much El!